If you are new to the Instagram world or just looking to supercharge your following, here are 5 tips guaranteed to help you attract new followers for your brand. While you may not have a robust Instagram following (yet), you may have many active users on your other social profiles. Why not leverage these connections to increase your Instagram followers? Including custom tabs to your Instagram directly on your other profiles is one way to achieve this. For example, third parties apps such as Woobox allow you to integrate an Instagram tab onto your Facebook profile. Users that click on this tab would see a gallery view of your Instagram content displayed within the tab and a call-to-action button would also prompt them to follow you on Instagram. While duplicating content across all your channels is not recommended (content native to each site will be optimally-sized and appropriate to each audience), you may occasionally want to share content from Instagram to another platform. Linking your profiles for automatic sharing each time you upload to Instagram is possible, but IFTT allows you to create rules about which types of content will be automatically shared to other social platforms from Instagram. Of course, you can always directly prompt your fans to follow you on Instagram in a post. Do not assume they know about your account! On Instagram, Hashtags act as a giant classification system. Tagging a photo with the hashtag #Love will ensure that users who are searching for this topic will find your photo. Instagram is one of the last social media networks with no algorithm to control who sees which posts, so anybody searching for this hashtag will potentially see your brand’s post. This has the added bonus of ensuring that there is no decrease in engagement the more you post content daily. Including more hashtags will inevitably increase the reach of your post. However, while you can include up to 30 hashtags with each photo, users may perceive your brand as desperate if you include too many. Even worse, make sure that you are not hashtag hijacking – using a trending hashtag inappropriately to garner attention for your brand. This can easily backfire, and using popular hashtags irrelevant for your brand can mean your content will be lost in the noise. Top brands include 3-5 strategic hashtags with each post. Strategic hashtags include those that are both directly and indirectly related to your brand’s product or values. For example, a tea brand can include the #summer hashtag if they are posting a picture of an iced tea pitcher. This will expose users searching for inspiring seasonal content to the brand. Websta is a useful resource that reports the top Instagram hashtags. 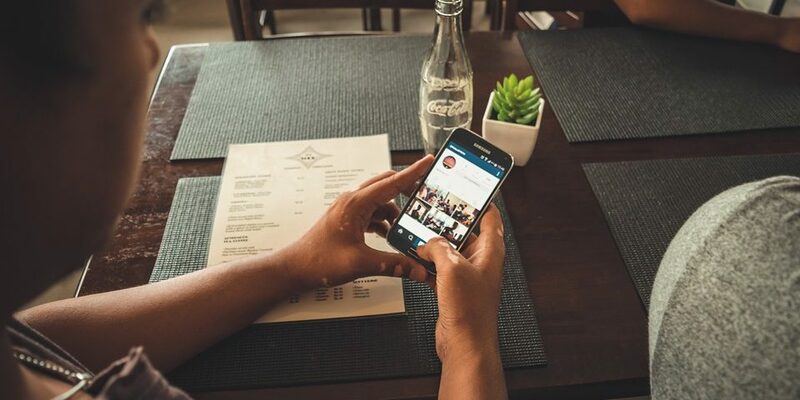 Exploring your competitor’s Instagram profiles can also add valuable insight. Creating a unique hashtag for your brand can be a wonderful way to create a community around your brand or a specific event such as a product launch. Being able to search for hashtags also allows you to find the users in your industry most likely to be your potential customers. Who is posting photos using the hashtags relevant to your industry? Who is following your competitors? What communities are most relevant for your business? More importantly, can you genuinely interact with these users to draw them to your brand? Following users and liking their content is a surefire way to grab their attention. In the same vein, applicable to all of your social presence across channels, make sure to engage with your existing followers. Be gracious and authentic and respond to comments or posts using your hashtags. One of the biggest benefits of social media is the ability to humanize your brand and take your customer experience into a comfortable relational space. One of the most powerful features of social media is the ability to measure and analyze your impact with precision through analytics. Instagram does not have built-in analytics, but there are several free resources you can use to track your key metrics. Simplymeasured is a powerful tool that provides comprehensive reports that you can download to excel or export to PDF. User-generated content is powerful not only because it alleviates a brand’s need to constantly create relevant content, but also because it creates a participative culture whereby, through social media, ambassadors can become involved in reinforcing a brand’s digital identity. It is a shift in power that can be leveraged quite successfully by businesses if managed properly. For example, you can run a contest on Instagram, asking people to post an original photo with a particular theme, tagging it with a unique hashtag that you created for this event. Another option is regramming, which is sharing content from users while giving them appropriate credit. This is a great way to give recognition to your most loyal followers and to acknowledge their relevant contributions. Instagram does not have a native “share” button, but several apps can help you accomplish this, such as Repost for Instagram. These 5 tips are guaranteed to attract new followers to your brand. We’d love to hear your favorite Instagram tips and hacks in the comments below! Dana Dragomir is a content marketer and social media strategist based in Toronto. She helps brands leverage digital relationships to reach, inform and impact their intended audiences. Passionate about all things social, technology or innovation-related, she is also an avid photographer and creative writer. Connect with her on LinkedIn!